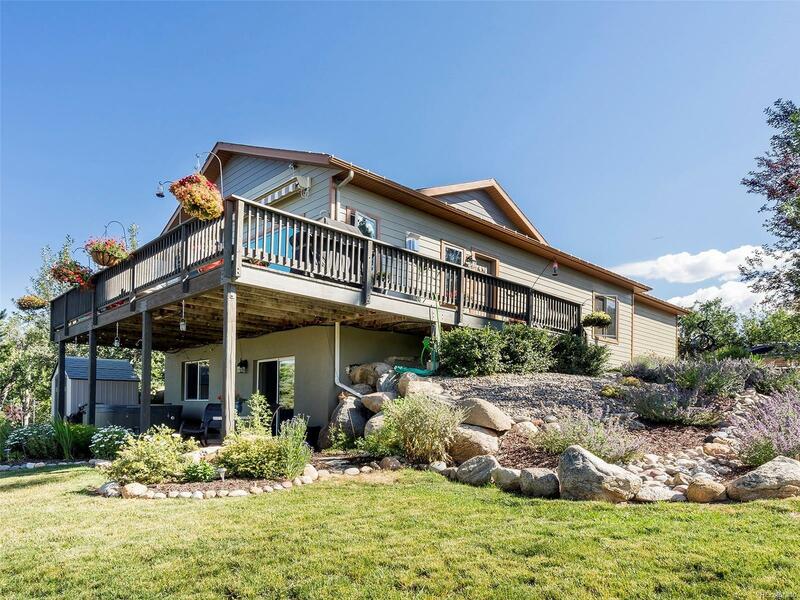 This property enjoys sweeping views of the Yampa Valley from Sleeping Giant to Emerald Mountain and Mt. Werner. Renovated throughout, this home includes modern upgrades such as custom kitchen cabinets, quartz countertops, brand new windows and doors, motorized sun shades in the living room and brand new fireplace hearth & mantel. Zoned as a duplex but with no adjoining walls, this property lives just like a single family home with an abundance of natural light on all sides. The main living area is welcoming and open with a spacious walkout deck just perfect for relishing the sunset. The master suite includes a jetted tub, large double-vanity sink, walk-in closet and luxurious ceiling fan. The downstairs of the home could be locked off as a mother-in-law suite or left open for a second family room with complete wet bar, refrigerator and microwave. The large backyard feels extremely private and quiet and includes immaculate landscaping, a wood-burning fire pit and 6-person hot tub.